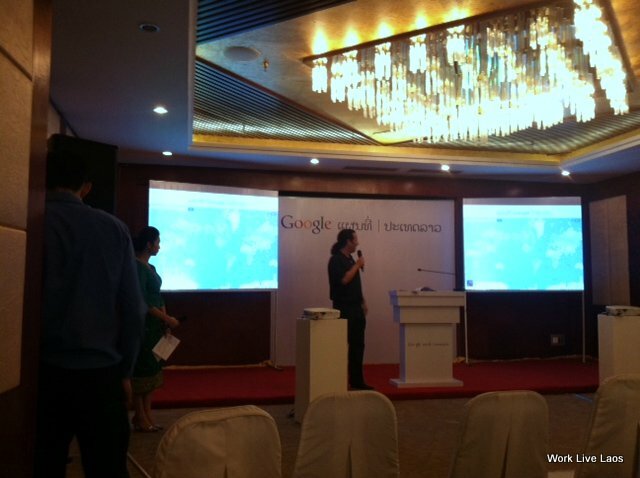 Google held a press conference at Don Chan Palace this morning to announce the launch of its Google Street View service in Laos. 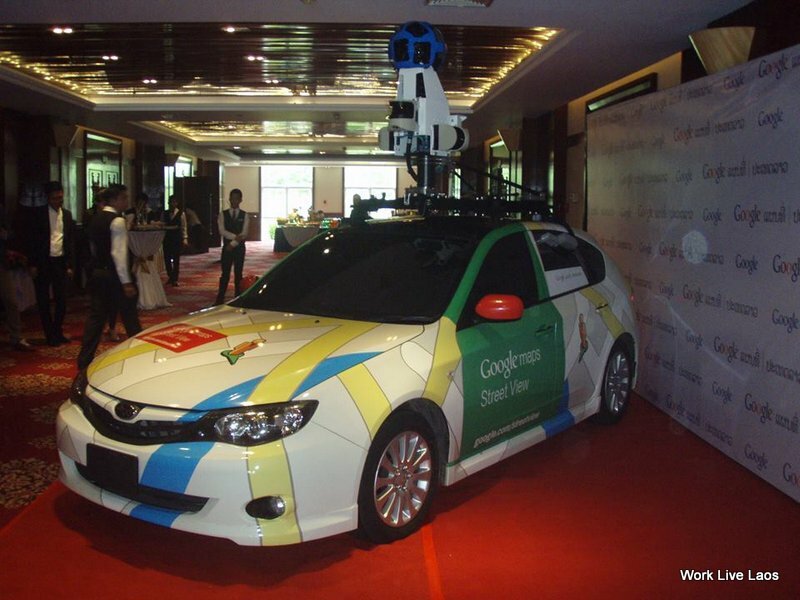 Beginning in Vientiane, the company’s special cars, mounted with 360 degree camera units, will roam the city taking panoramic snapshots so that the Google Street View Laos service can be added to Google Maps, Laos. Speaking at the press conference, Google representative Mr Divon Lan explained that the cars would begin roaming the streets of Vientiane very soon, and that the Street View service would be offered for Vientiane first, with the hope of eventually mapping the entire country of Laos. Google first launched its Google Maps service in the United States in 2007. It officially launched Google Maps in Laos in 2012, and in 2013 was able to incorporate the Lao font thanks to support from the Lao Ministry of Post and Telecommuncations. The Ministry has been very helpful in assisting Google launch Street View in Laos, according to Mr Divon, which currently exists in only 56 countries worldwide. Thailand has already been fully mapped, while Cambodia is at the launch phase, alongside Laos. Mr Divon also said that the potential applications for Google Street View are limitless, for example it could allow tourists to take virtual tours of major cities in Laos and plan their trip before visiting the country. It would allow architects or city planners to take virtual tours and identify areas for development, and holds potential for real estate companies, restaurants, delivery services, and many other businesses. Street View can be accessed here and will soon be added to maps.google.la. Click here to practice using Street View to view Bangkok! ???????????? ???????? ????? ??? (Google Street View) ???? ???????? ????? ??? ??????????????????????????????? ??????????????? ?????. ???????? ???????????????????????? ???????? ????? ??? ???????????????????????? ???????????????????????????????? 360 ????? ???????????????????????????????????? ??????????????????????????. ????? ??? ??????????????????????????????????????????????? maps.google.la. ???????? ????? ??? ???????????? ?????????????????????????????? ??? ????????????????? ??? ?????. ???????????????????????? Street View ??? ????? ?.